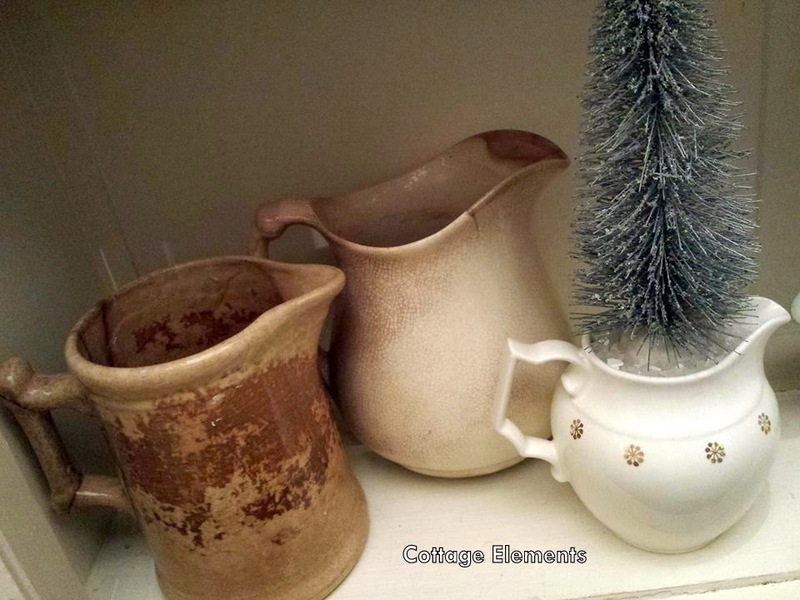 Cottage Elements: Christmas Decorations Even in the Water Closet! Christmas Decorations Even in the Water Closet! If you know me, most of my home is decorated to the 9's for Christmas. Even my main floor bath has been holly-fied. Okay, maybe that's not a word, but anyway. I get so wrapped up in the Christmas spirit, not one room is without Christmas-filled with decorations. And I certainly didn't want the bathroom to feel left out, now do I? 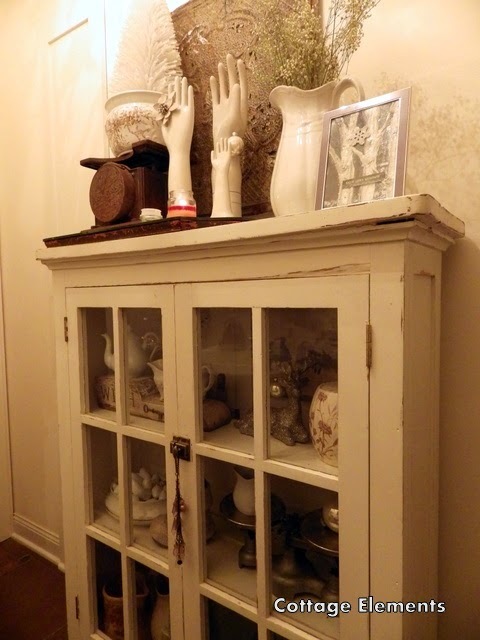 I have this beautiful vintage cupboard in my main floor bath that was a built-in in it's former life. It's like it was made for my current home and as the seasons change, so does it's contents. 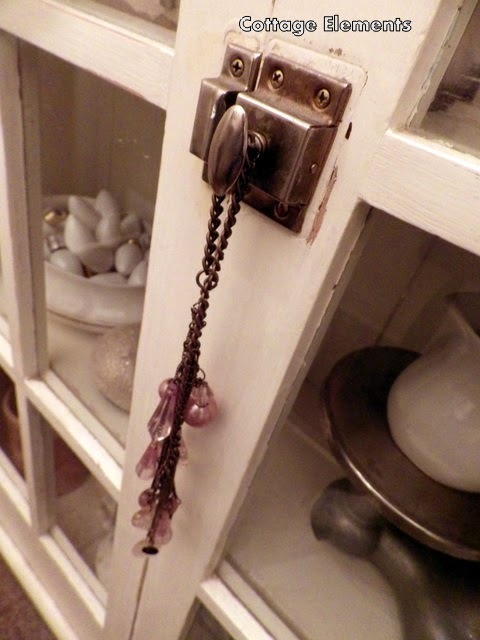 It houses many of my favorite vintage pieces. 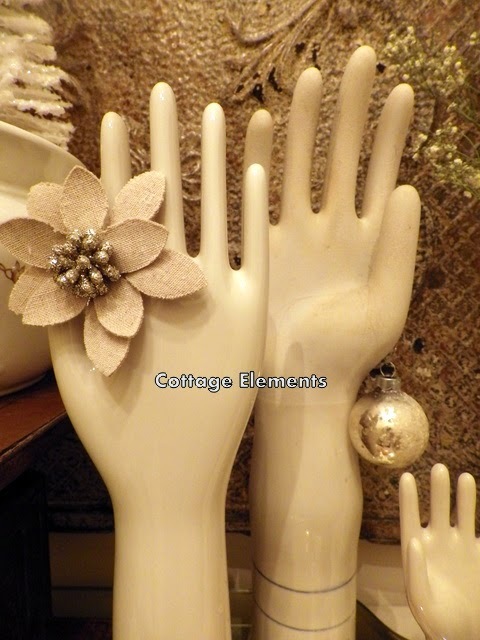 The hands on top that might hold rings or other things at Christmas time holds a linen poinsettia, along with a vintage ornament. 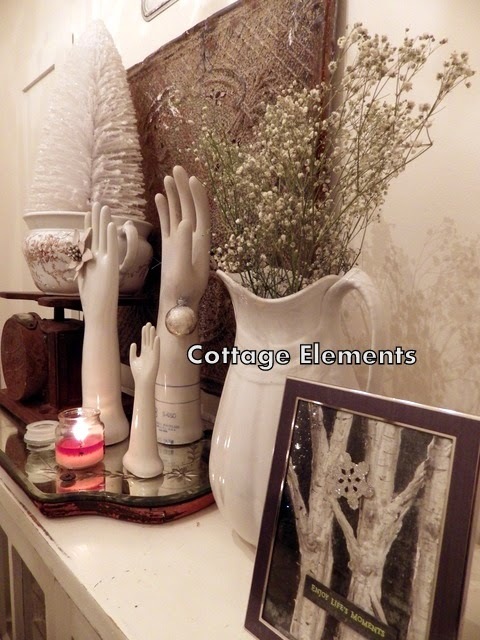 Alongside the hands display is a vintage scale. You know me and my scales. They are a "love" of mine. 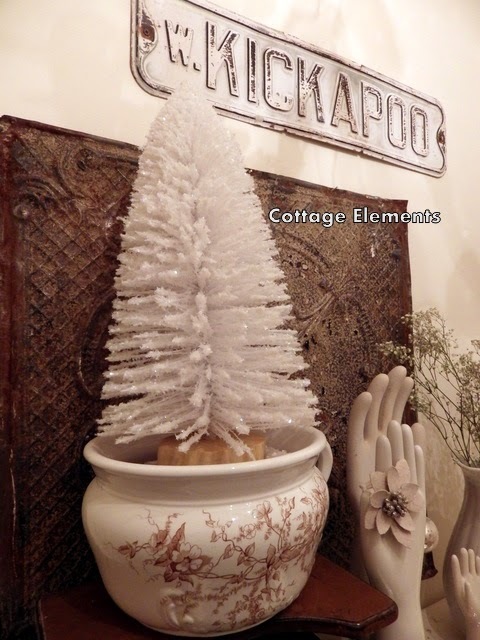 A top the vintage scale you'll find a brown transferware commode which holds a new, but old looking bottle brush tree. And the sign? 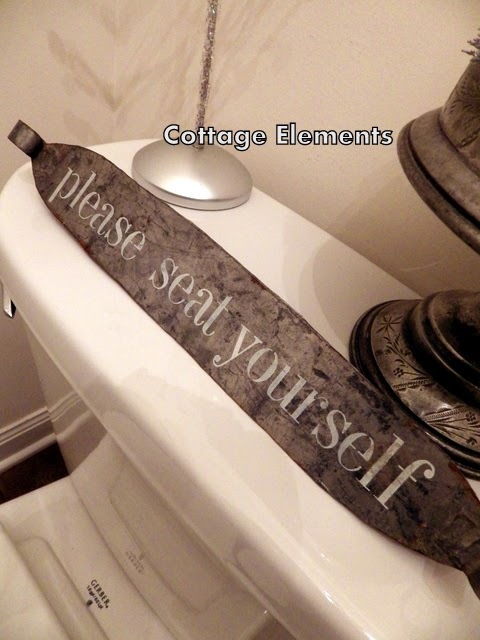 Well you always have room for some humor, especially in the bathroom! Inside the cupboard houses more vintage goodies. 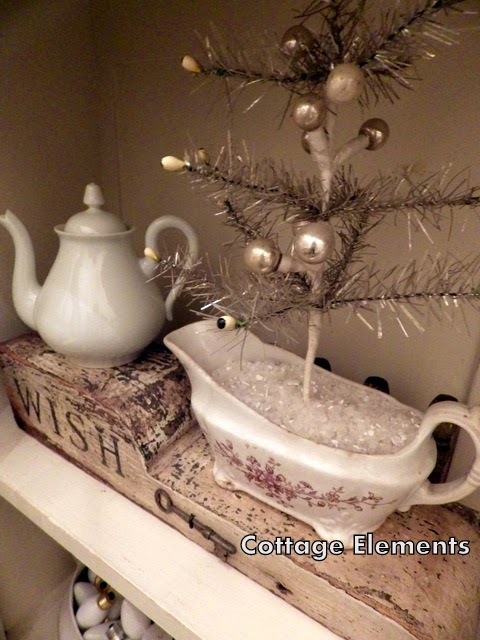 Another piece of my transferware this time holds some rock salt to mimic snow and another vintage looking tree. It sits a top another project of mine. The corbal was simply stenciled and a key added. The patina is just natural perfection. 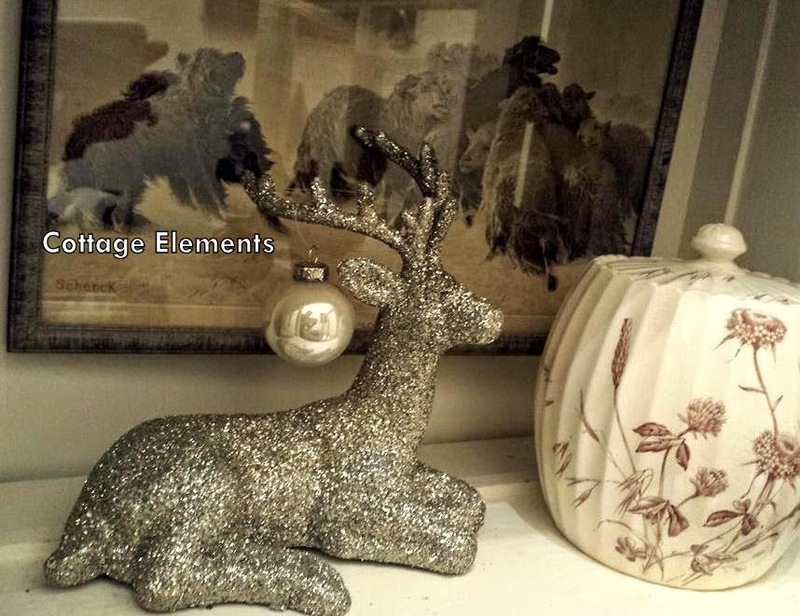 You also find this sweel little glittery deer. It's displaying another little ornament. The picture in the back is entitled "Lost" in reference to the parable of the lost sheep. 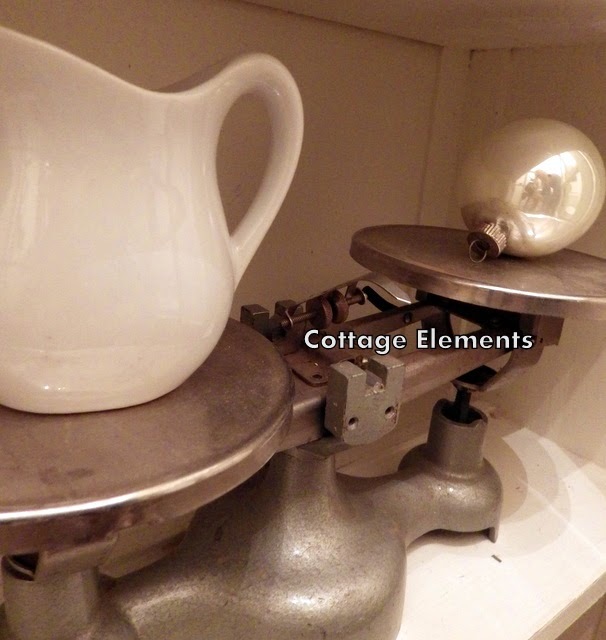 And again another piece of transferware. 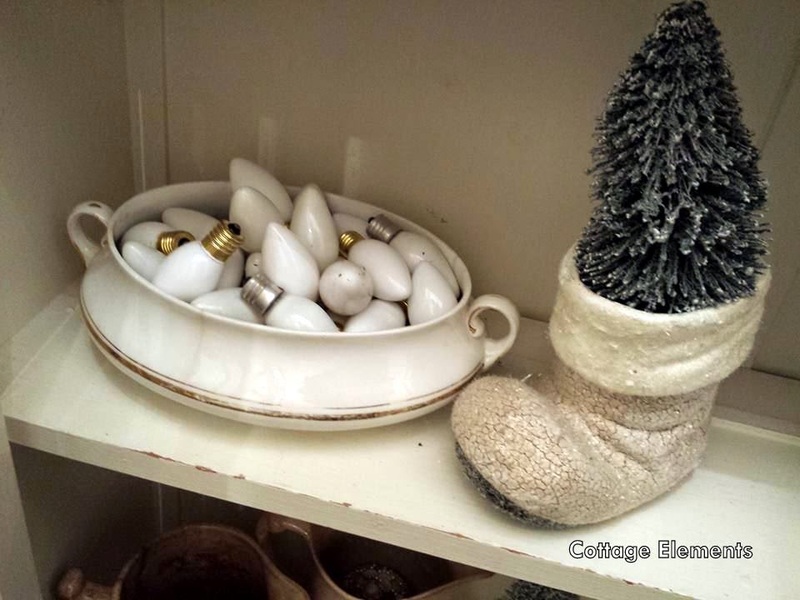 I have to say I love this vintage casserole bowl full of the vintage white Christmas lights. Just plain simple. And anther bottle brush tree sits next to it in a vintage looking boot. Can't have enough trees, now can you? 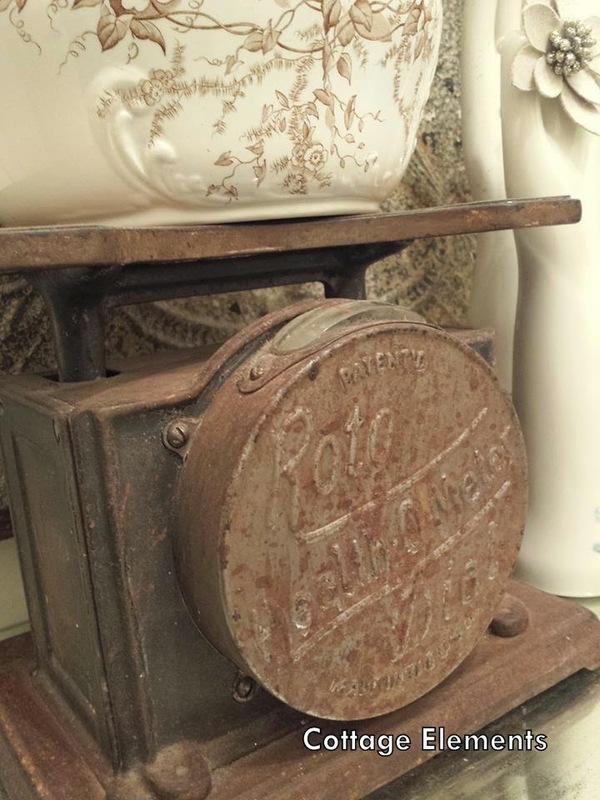 Another thing that I have to say I love is old ironstone that's worn, chipped and discolored. You have to wonder all the places and uses they've had. The piece on the left I'm particularly fond of. No detail is spared. Even the latch has a little bobble on it. 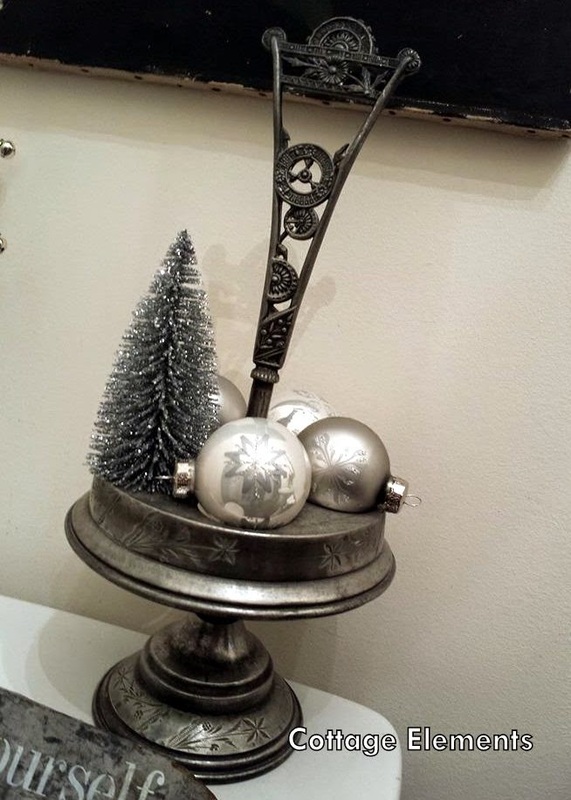 This piece as most of you know held vintage cruets, but I love the ornaments and glittery tree in it. I love giving pieces that aren't complete an afterlife.